A Fairfield Health Insurance Company review discloses a company with a complex history. This insurer is a part of the Berkshire Hathaway Group holdings, which started as a textile company until it crossed the radar of billionaire Warren Buffett. This company has investments in many industries including other several forms of insurance. Berkshire Hathaway’s involvement in the insurance industry is more recognizable as the parent company of GEICO, Government Employees Insurance Company. This company offers auto insurance coverage. 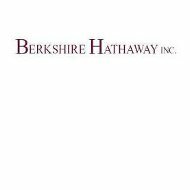 Much of their healthcare coverage is sold through Fairfield Health Insurance, which is headquartered in Stamford, CT.
Berkshire Hathaway is a diversified company that allocates a large portion of healthcare investments to reinsurance. Reinsurance offers coverage to insurance companies. This is a financial resource in the event the insurer is faced with claims amounting to multi-millions or even billions that are beyond their capital limits. Fairfield Health Insurance Company under the Berkshire Hathaway umbrella holds an A++ standing with A.M. Best, and an AA+ with Standard and Poor’s. These are insurance raters who monitor companies to make sure they are solvent enough to fulfill their financial obligations to the policyholders they serve. These insurance rating organizations also make sure policyholders are satisfied with the company’s service and that they do not abuse their power as an insurer. Insurance companies are regulated by the states where they are licensed. Fairfield Health Insurance Company has offices in several states in America, UK and in Germany. They are licensed in 50 states in America. The health insurance industry is changing drastically, yet it seems more people are without health insurance. Since the business demographics are made up of more small and medium sized businesses, it is hard for employers to take on the expense of providing health insurance coverage without passing a large percentage of the expense to the employee. Therefore, many companies do not offer health insurance packages as part of company benefits. Health insurance products through employers are offered through an HMO or PPO, which is a health maintenance organization or preferred provider organization. These organizations help to manage healthcare costs. A combination of the two would be a POS plan or point-of-service plan. In these types of plans, the subscriber or policyholder chooses a primary care provider who gives a referral when a specialist is needed. Indemnity plans are also scarce, yet allows the subscriber to choose their provider. These types of plans are obviously more expensive. The Consolidated Omnibus Reconciliation Act allows individuals and those on their policies to continue Fairfield healthcare coverage under their former group plan for an extended period. This period may last up to a year and a half for an increased premium. There are some instances where it may last up to three years. The HIPAA or Health Insurance Portability and Accountability Act was enacted to protect subscribers with preexisting conditions who were formally part of a Fairfield group policy and are no longer part of that group. After you have exhausted your COBRA plan, you can transfer coverage without worrying about being discriminated against because of your health. Fairfield Health Insurance Company does not have a website where subscribers may go directly to access company information. Researching the company requires looking through related links. Because it is a subsidiary of a subsidiary of Berkshire Hathaway, you have to research General Re, which is more heavily marketed in the UK and Germany. General Star National is also affiliated with the group. Most of these companies are Connecticut companies while General Reinsurance and National Reinsurance Corporation are Delaware companies. General Star is an Ohio health insurer and Genesis Indemnity is headquartered in North Dakota. Since this company is obscure online, it is difficult to find reviews. The available reviews are related to lawsuits filed against it by subscribers under the General Re name. There are online reports that Buffet is reducing his interests in health care. How recent losses and reductions will affect Fairfield Health Insurance Company remains to be seen on the NYSE. To get health insurance quotes to compare major carriers in the industry, just enter your zip code here!